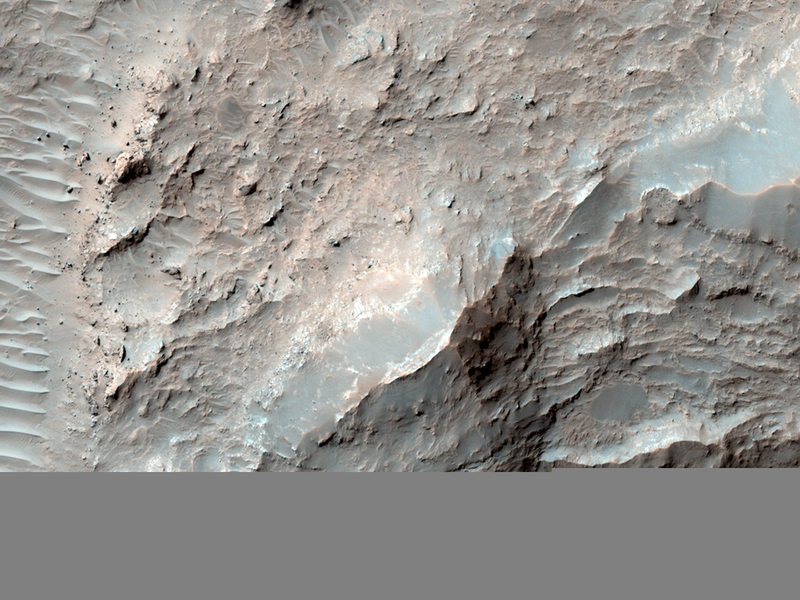 This image covers a portion of Eberswalde Crater, which has an ancient deltaic depositional setting. Eberswalde is an approximately 65 kilometer diameter, closed basin crater. This image was targeted in the landing ellipse as a possible site for the 2009 Mars Science Laboratory mission. The image shows resistant mounds and knobs as well as a scoured surface. 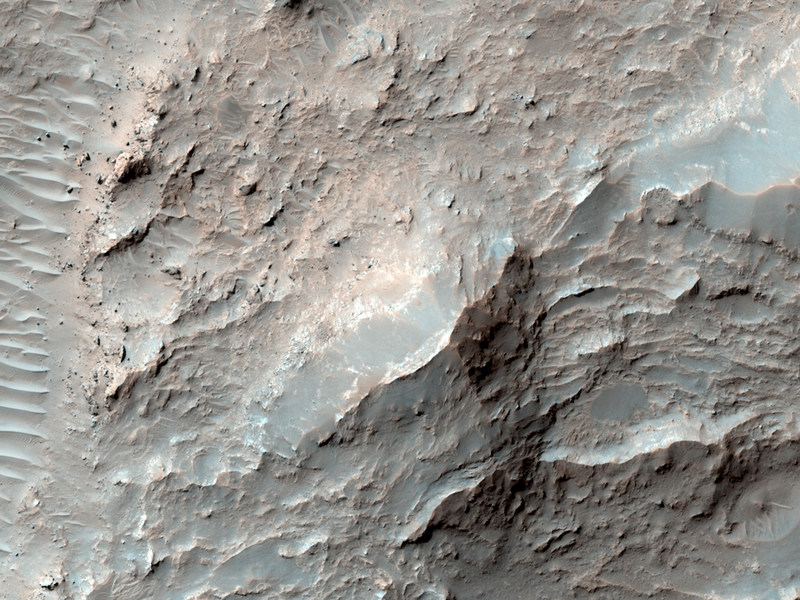 The CRISM instrument on board the Mars Reconnaissance Orbiter has detected phyllosilicates (clays) in the bright layers in the crater. One of the ways clays form on Earth is when water erodes rock and makes fine particles which settle out of water; this often occurs in river deltas and lake beds. The delta and meandering channels in Eberswalde Crater (to the west of the landing ellipse) and the detection of phyllosilicates provides evidence for possible persistent aqueous activity on Mars. This is a stereo pair with PSP_010474_1560.